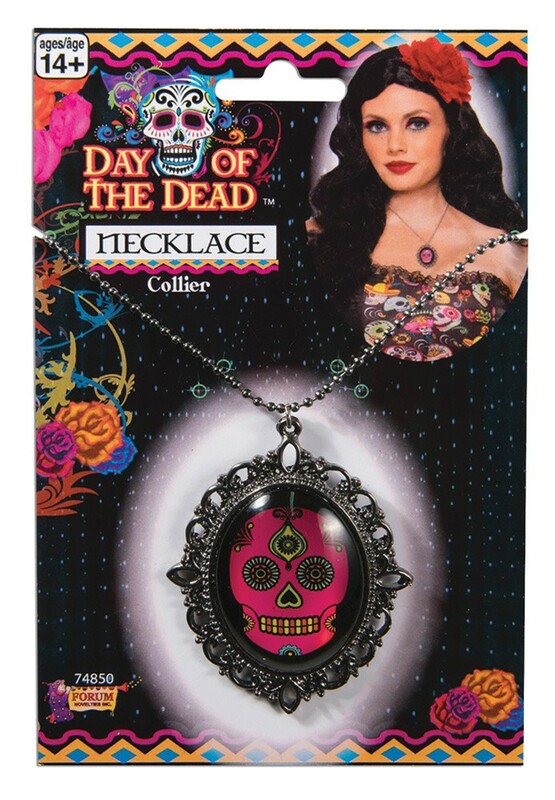 An elegant accessory for your Day of the Dead costume! Necklace with pendant featuring metal accents around the charm, a clear front and a sugar skull inside the pendant that is easily visible. One size fits most.